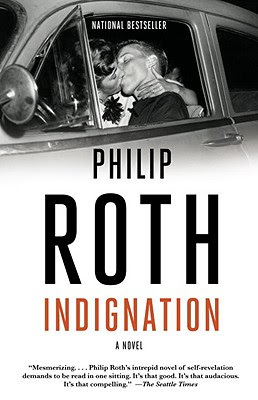 Indignation has always been at the core of Philip Roth’s fiction. Goodbye, Columbus, his debut novella which won the 1960 National Book Award and established him as a major talent while still in his twenties, was a study in class resentment and sexual betrayal. A decade later, Roth was vaulted to unwelcome international celebrity by the psychiatrist’s-couch, masturbatory ravings of the eponymous narrator of Portnoy’s Complaint (that “wild blue shocker”, as Life magazine called it). 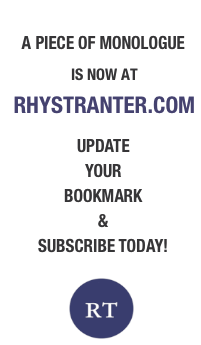 Across a half century of writing that has produced twenty-nine books – satire, fantasy, memoir, masterworks of American realism – anger has consistently been subject, theme, tone, stance, and rhetorical device for Roth and his driven characters and unreliable narrators. Even The Facts, a mostly even-toned autobiographical account of his upbringing and early life, published when Roth was in his mid-fifties, surrenders the last word (the last 8,000 actually) to his abrasive fictional alter ego, Nathan Zuckerman. Having opened the book with a letter to Zuckerman asking him to read the manuscript, Roth closes it with Zuckerman’s blunt reply: “Don’t publish.” Absurdly but powerfully he accuses Roth of failing to characterise himself: “You no longer have any idea who you are or ever were.” Zuckerman goes on to chastise his creator for timidity and uses this unique opportunity to register his scorn towards Roth for saddling him (“for artistic reasons”) with a hate-filled father who condemns him from his deathbed.